-ONE- I have been eyeing these Hanna Jams for awhile now! I don't think I've ever loved a pair of pajamas more. I keep holding back on a purchase since I'm not quite sure how they will accommodate a growing bump, but gosh I want them! -TWO- If your kids love Goodnight Goodnight Construction Site & Steam Train Dream Train, well then I have some fabulous news! 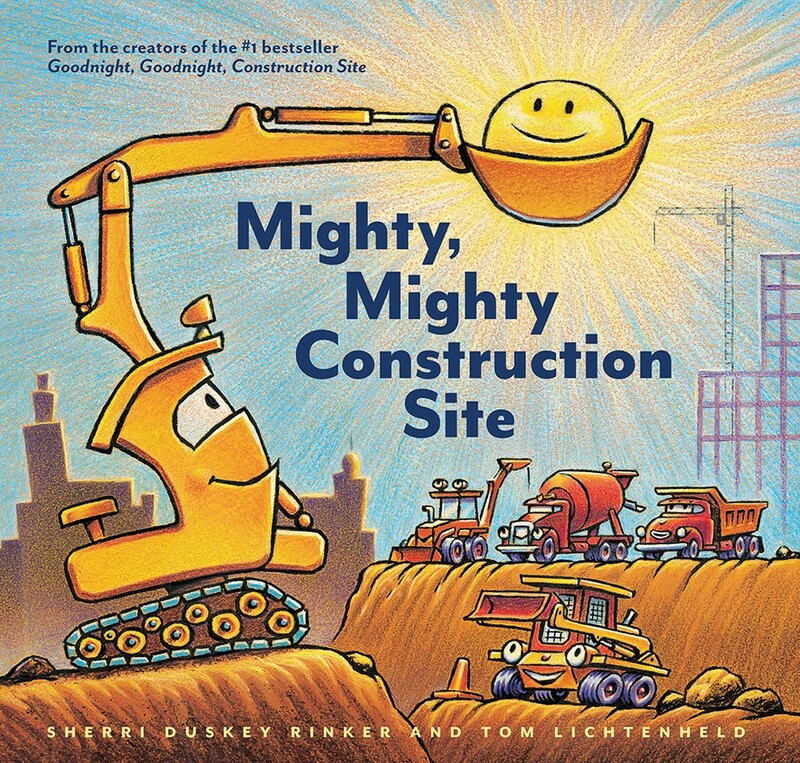 There's a new book to add to that collection, Mighty Mighty Construction Site. I found my copy at Costco, but I don't imagine it will stick around there for long since it's brand new! 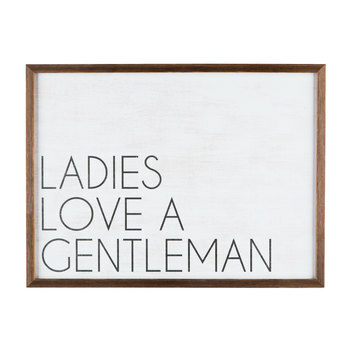 -THREE- I have absolutely no idea how I'm going to decorate the new baby's nursery, but I have made the first purchase... I saw this print on a friend's instagram and fell in love. So I guess I start with this piece and let the rest of the room come together around it! -FOUR- My stomach has been real rough this pregnancy and often I don't have an appetite. 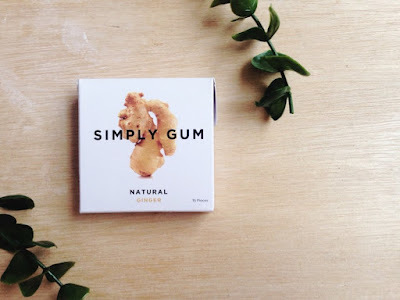 A friend gave me a pack of this gum, and it has actually helped a lot. The ginger flavor isn't too intense, but it does help settle me. So go grab a pack whether you are pregnant or not. And grab some cinnamon & mint while you are at it. I've seen the brand at Whole Foods as well as World Market. -FIVE- I have book club tonight and couldn't be more pumped! Conor had work dinners on Wednesday & Thursday night, so I'm more than ready for a girl's night. Plus I loved the book, so I can't wait to discuss. I highly recommend it, Trail of Broken Wings; but before you check it out, a little trigger warning... the book is filled with abuse. Other than book club, my weekend is wide open! I'm mostly looking forward to some big breakfasts (my favorite things when pregnant) and lots of extra sleep while Conor is home to help with the boys. I need that gum! I've had the worst morning sickness, I had a break for a week, and it's come back full force this week. I spend more time by the toilet than with my own family ha. I have ideas for this next nursery but no real concrete plans until we know gender. I agree with the pajamas, they look super comfy but how much wear will you get with them before the bump gets too large. 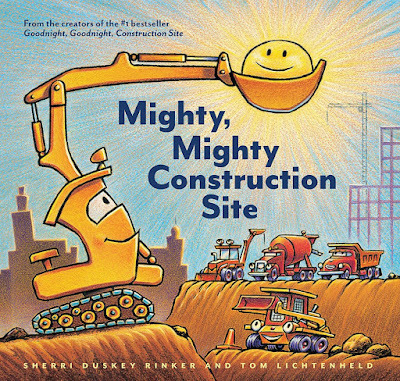 So pumped about that new Construction Site book! My preschool class will be so excited. :) Definitely making a trip to Costco this weekend to see of they have it. Oooohhh! I'll have to look for that Mighty, Mighty Construction Site at Costco tomorrow! Mason loves the other ones and is super into all those diggers lately! Omg yes to that sign! I love it. Hope you guys had a great weekend! You have the most uncanny ability to find the cutest adult pajamas. Meanwhile, I'm still rocking a high school t-shirt and mesh shorts. Boooooring. I'm totally adding that book to Marcus' b-day wish list. I know he'd love it. That print!! I cannot wait to see how the nursery evolves around it. That book is on the to-read list! What adorable PJs... Also, I love your first decoration for the nursery...I'm sure it's going to be fun to plan the decor--you have such great taste. 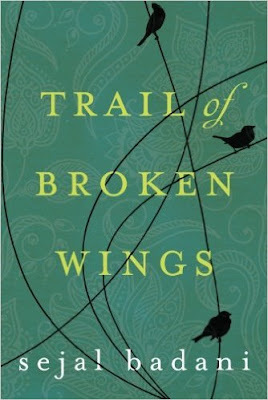 Being part of a book club sounds like so much fun; I'm placing this book on my list of reads for the summer.